Solar power has come a long way from the original gargantuan grids in the desert to some portable devices in these days. Advancements in nano-materials and microtechnology now offered unparalleled portability and convenience for the average person. It has now been widly used in our day-to-day life. 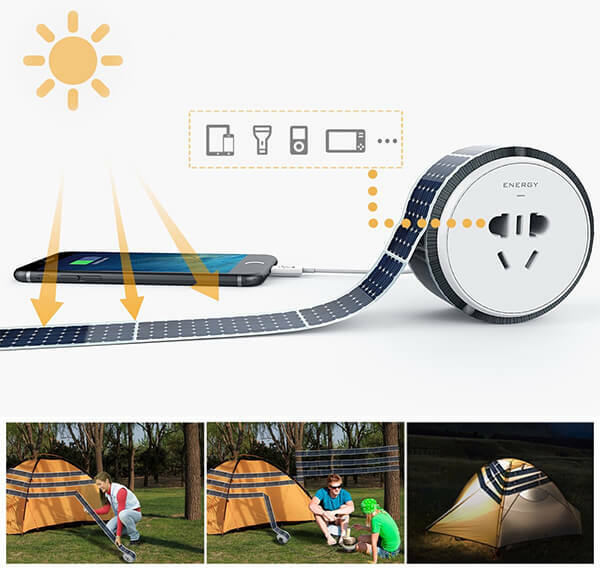 Designed by Lei Yang, the Energy Tape concept tries to make the solar power even accessible and portable to people so it ends up like a roll of tape! 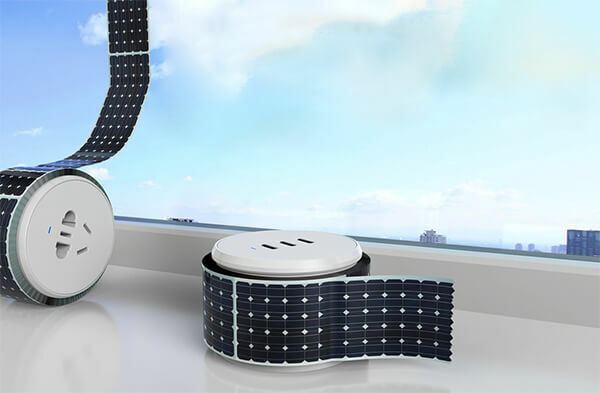 By sticking the tape on surface, it can instantly transform just about any object into a solar power plant. It’s perfect for campers who can charge GPS devices or light, great for picnickers who want to keep their music devices running and of course, our regularly run out of battery phones. 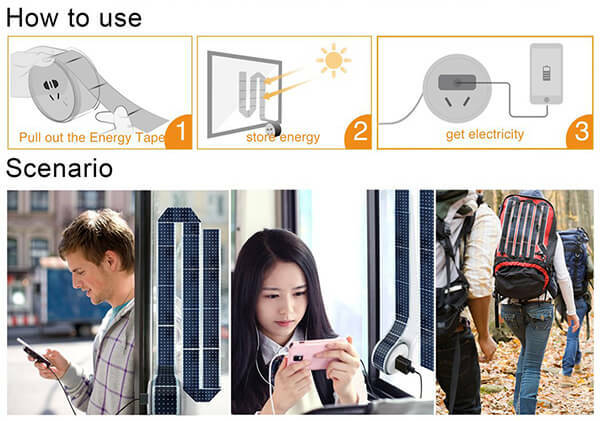 It is really easy to use, just cling its reusable adhesive back to canvas, glass and almost any other surface, you are ready to enjoy some green energy.